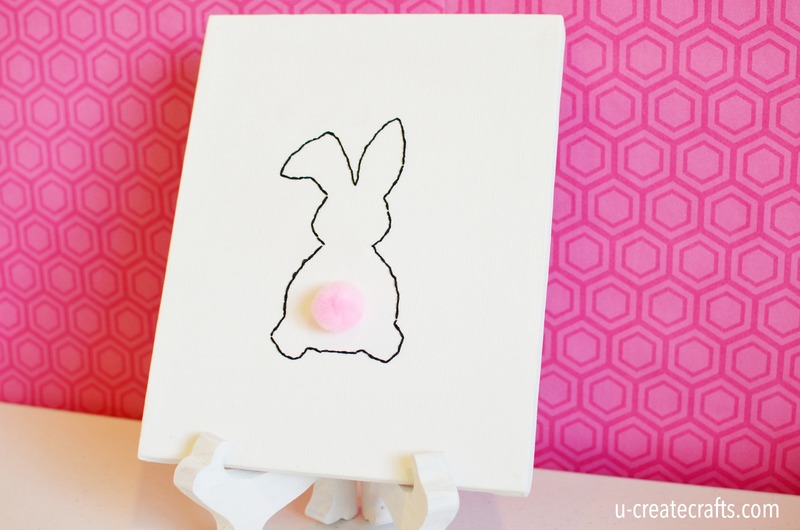 My daughter wanted something with an Easter theme to display in her bedroom and so we printed out this adorable Free Easter Bunny Template by Boys, Building, Books, and Berries. 1. Print out free template. 2. Trace image on canvas lightly with a pencil. 3. 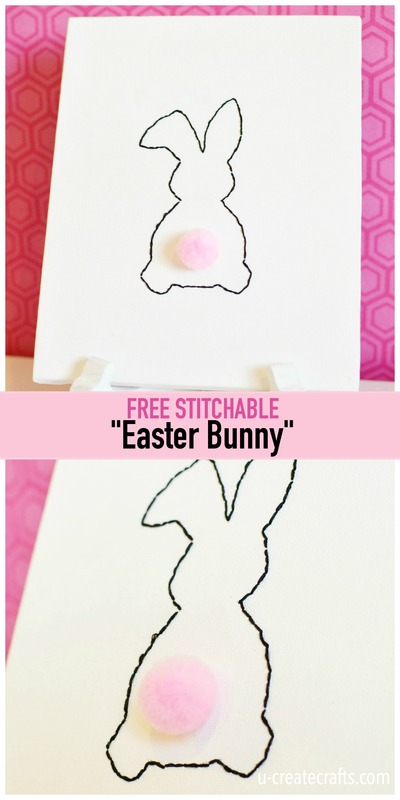 Use a running stitch around the bunny using 3 strands. 4. Glue or stitch on the pom pom for the tail. You’re finished! Enjoy your new Easter home decor! I may be the only person, but I don’t understand how to outline something with s running stitch. I searched YouTube a little, and am still confused. Do you have a little gap between where you go down and where you come back up? Looking closely at your picture. I see a few little gaps, but not every stitch. How do you do this? Thanks! I looked it up and the proper term we used is actually a “double running stitch” so if you look up that technique you will see that’s what my daughter used. Thanks for stopping by and happy stitching!